The secretary-general says he was more than welcome to meet anyone he pleased and there would be other meetings with Zuma in the future. ANC secretary-general Ace Magashule yesterday admitted to meeting former president Jacob Zuma at a Durban hotel last week. Magashule denied that the meeting was to discuss how to remove President Cyril Ramaphosa and called the Sunday Times report mischievous. Contents of the meeting with Zuma would probably need to be disclosed if Magashule intends to deflate the mounting pressure on him to explain his meeting with some ANC officials in KwaZulu Natal. In a video, Magashule refers to Zuma as ‘president’ several times. Magashule admitted to also meeting the former North West premier Supra Mahumapelo and former SAA chairperson Dudu Myeni at the Beverly Hills hotel in Umhlanga Rocks a day before his meeting with Zuma. During an eNCA interview, the secretary-general said weekend reports that he met with Zuma were true but denied a plot to overthrow Ramaphosa. Magashule, who was reluctant to disclose details of his meeting with Zuma, said he had needed to meet with the former president to discuss organisational matters. However, the ANC had not been aware of this meeting and reportedly thought he was in the Free State. Magashule claimed the ANC had accepted there was nothing inappropriate about the meeting and the party was still united. 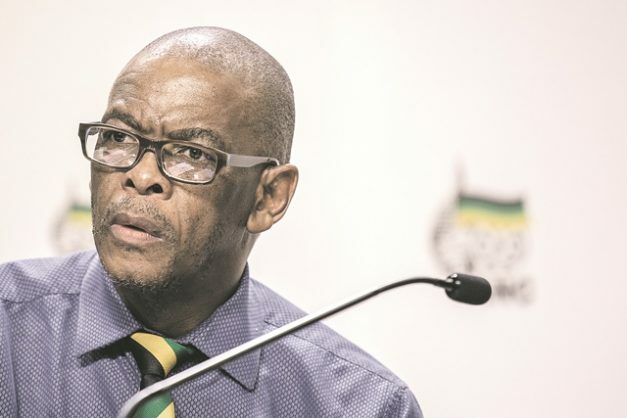 Magashule, according to the Sunday Times, was also with ANC Women’s League Meokgo Matuba and KZN ANC Youth League secretary Thanduxolo Sabelo at the Maharani Hotel on Thursday. Social media weighed in on the secretary-general’s meeting with the former president. Look, please don’t tell me you know what a “meeting” is … until you can handle the #AceMagashule definition of a “meeting”. ???? he is familiarizing himself with the SG duties since Ace Magashule wont finish his term!! Cde Ace Magashule is a traitor full stop.He together with other conspirators will however not succeed in overthrowing the leadership of the African National https://t.co/poiVbyWnBv Cde Ramaphosa viva! !.